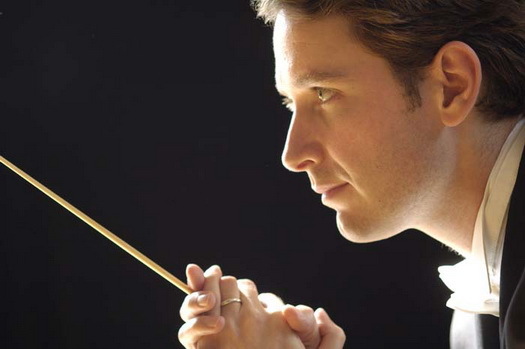 Music Director David Grandis is currently the Conductor of the College of William and Mary Symphony Orchestra. Mr. Grandis guest conducting opportunities have included the Virginia Chamber Orchestra (at the National Presbyterian Church in April, 2011), Bordeaux National Symphony Orchestra, Nice Philharmonic Orchestra, Sofia New Symphony Orchestra and Minsk Philharmonic Orchestra. He is regularly Assistant Conductor at the Lyon National Opera. Past positions as Assistant Conductor have also included: the Mid-Atlantic Symphony Orchestra in Maryland, the Capital City Symphony Orchestra in Washington, D.C., the Baltimore Opera Company and the National Philharmonic, where he served as Cover Conductor. A native of France, Mr. Grandis led the University Orchestra in Grenoble and created his own chamber orchestra in Nice. Upon completing his formal musical training in several conservatories and earning a B.M. in Musicology in France, he continued his conducting studies in the United States. He subsequently served as Assistant Conductor at the University of Illinois in Champaign where he received a M.M. in conducting under Donald Schleicher; at the Peabody Institute in Baltimore, where he earned a Graduate Performance Diploma in conducting under Gustav Meier; and lastly at the University of Wisconsin-Madison, where he is currently completing a D.M.A. in conducting under James Smith. He has participated in several master classes with Marin Alsop, Gustav Meier, Rossen Milanov, Misha Kats, John Farrer, Daniel Lewis and Donald Thulean. Mr. Grandis has an equal interest in both symphonic and lyric literature. His doctoral thesis, A la recherche du chant perdu ©, analyses the French style of opera singing and celebrates the era of the RTLN and its lyric company. It will soon be published in French and English. He has also studied voice for several years and performed roles in productions of Pagliacci (Silvio), Werther (Albert), Pélléas et Mélisande (Pélléas), Faust (Valentin), and Die Zauberflöte (Papageno). Albert Lance invited him to conduct productions of Gounods Faust and Puccinis Il Tabarro in France. Mr. Grandis will soon return as Assistant Conductor at the Lyon National Opera in April 2013 for Strauss Capriccio.